Lock in a great price for Hotel Friends – rated 8.2 by recent guests! 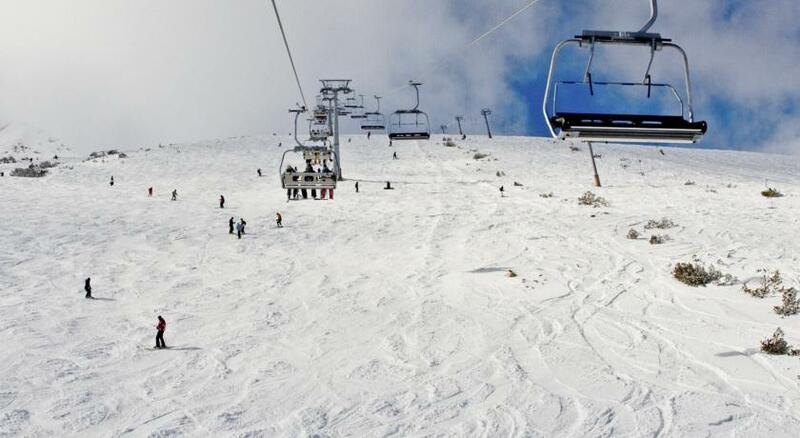 Very good location, not far from lifts. 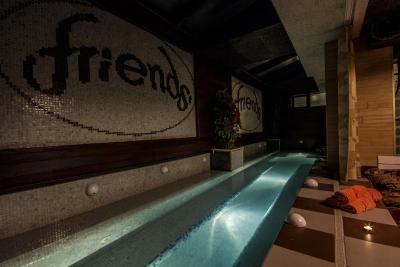 Lovely bar-spa facilities. 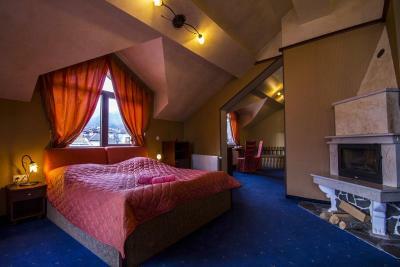 Large rooms. Excellent value for money. 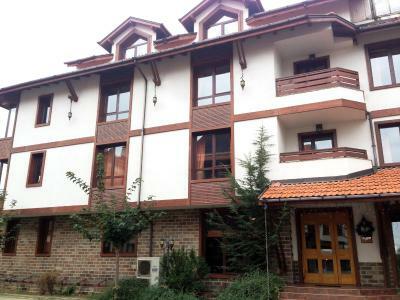 Perfect location, minutes away from gondola and shops. Very friendly and helpful staff. Will definitely return here again. 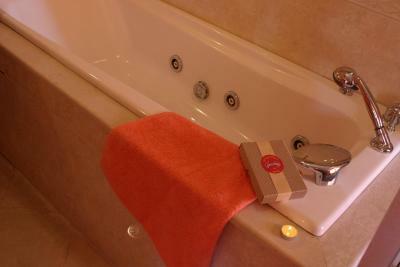 ACCORDING TO 3 STAR HOTEL STANDARTS , everything was very good! The room, the breakfast , the personel. You can easily find a parking place around the block. The apartment was perfect. 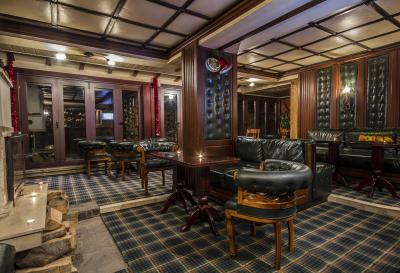 One of the best in Bansko and I have been there many times before. Also, the spa area was very good and clean. 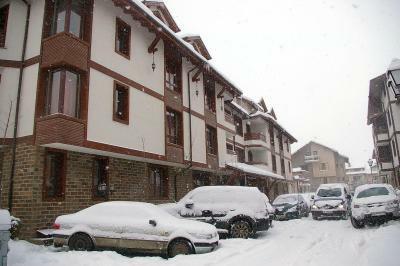 It's very close to the ski area in Bansko and Kindly recommended. Extra comment for the guy in the Breakfast who is very sociable. The location within walking distance from the gondola. The spa (jacuzzi pool, sauna, steam bath) was great. The room was cozy and very quiet. They arranged for my transfer to the gondola by minibus for free. 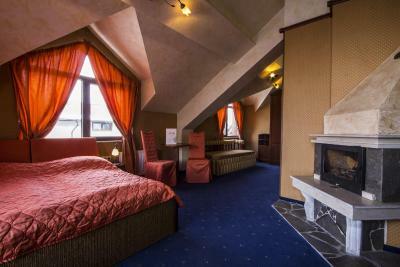 Overall I think it's a great choice for skiers wanting to relax after a good day's ski and it came for an award winning price of 25 euros per night. The staff was really nice, always had someone to go to. The breakfast was nice, had coffee, vegetables, cheese, meat, bread and a toast maker, cold drinks and tea of some kinds. there was eanough room for everyone who wanted to seat and wasn't very crowded. 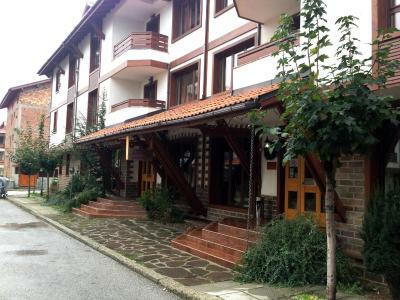 The hotel is placed super-conveniently near the center spot of Bansko, very close to the gondola. They had transportation to the gondola at morning and from the gondola at noon, was super convenient. 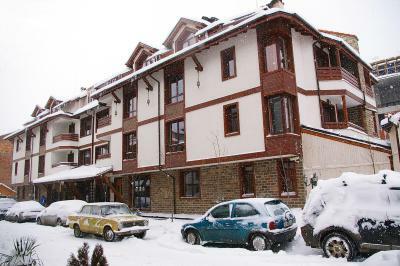 Everything was perfect, good location (very close to the city centre and to the ski centres), nice facilities, good food, nice people. Highly recommend it. Hotel Friends This rating is a reflection of how the property compares to the industry standard when it comes to price, facilities and services available. It's based on a self-evaluation by the property. Use this rating to help choose your stay! 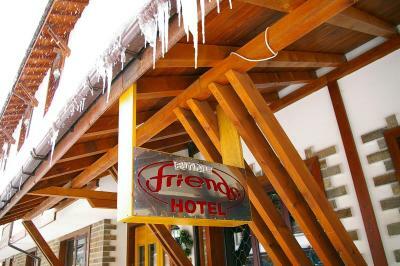 Located only 1,650 feet from the valley station of the gondola elevator and a 5-minute walk from the town center of Bansko, Hotel Friends offers comfortable rooms and apartments for every taste. The hotel is close to the main pedestrian street Pirin, where a variety of bars and restaurants can be found. You can enjoy meals from all over the world and taste the most interesting dishes from different cuisines. 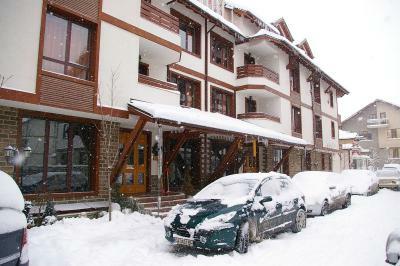 Hotel Friends is an ideal choice for any skiing holiday in Bansko. 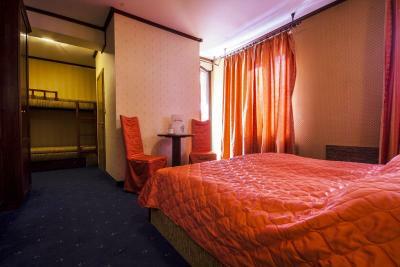 When would you like to stay at Hotel Friends? 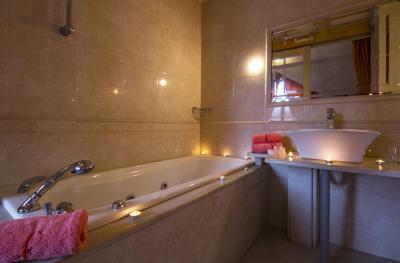 Free use of the sauna, steam bath, hot tub and relax zone is included. 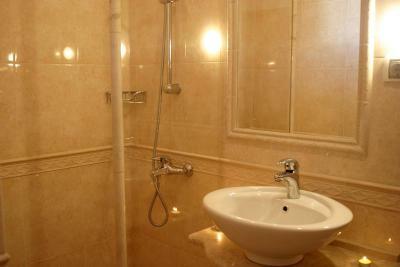 This apartment features 2 bedrooms and 2 bathrooms, one of which features a tub. 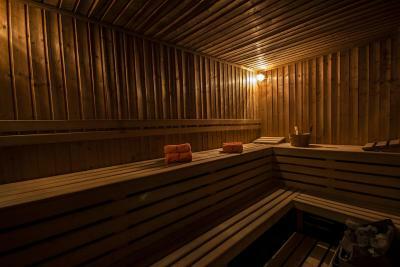 Free use of the sauna, steam bath, sauna, hot tub and relax zone is included. 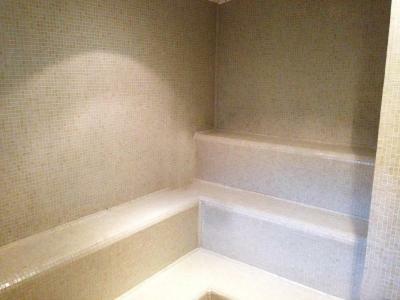 This apartment features 2 bedrooms and 2 bathrooms, 1 of which with a hot tub. 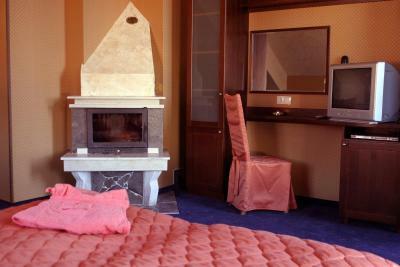 A fireplace is available at a surcharge. 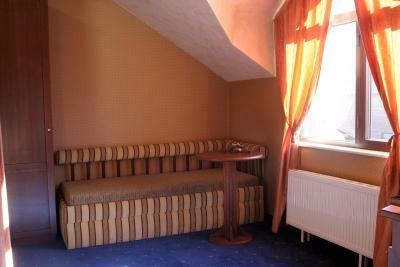 This triple room has soundproofing and cable TV. 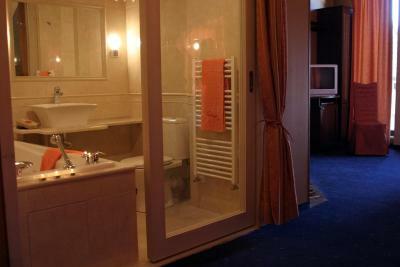 Free use of the sauna, steam bath, hot tub and relax zone is included. House Rules Hotel Friends takes special requests – add in the next step! Hotel Friends accepts these cards and reserves the right to temporarily hold an amount prior to arrival. Room temperature was ok.Quiet.Good location. There is no elevator but it has only 2 floors,. Close to gondola, great food! All the spaces in the hotel need a good cleaning, starting with the rooms(dust on furniture), jacuzzi, sauna( in the wet sauna there was a strong mold smell). If you are pretentious, it's better to bring your own bedsheets and towels. Too much heat! We had to open the windows! Everything was perfect. The breakfast could be better and will give more value to the hotel. 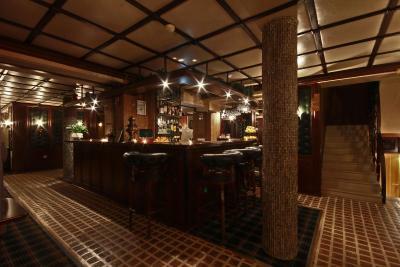 The staff could speak some more English but is not such a thing because you can communicate as well. The internet could be better. You get only 1 set of full sized towels and they won't change it until the next morning. We asked for an extra pair or at least a new pair in exchange to the dirty one (after sometime in the spa) and they simply wouldn't do it. They will give you bathrobe for extra 5 Leva (about 2.3EUR). The dinner was bad. Didn't had much choice, the rice was always undercooked, the meat was simply not tasty and overall the dinner was not satisfying.